THUNDER BAY, ONT. — Marc Kennedy is back in the place he refers to as “home” — a curling rink. And yet he’s never felt as far away from the pebbled sheets as he does right now, sitting on some scaffolding inside the Tournament Centre holding an iPad. It’s his new gig — national team program performance consultant with Curling Canada. 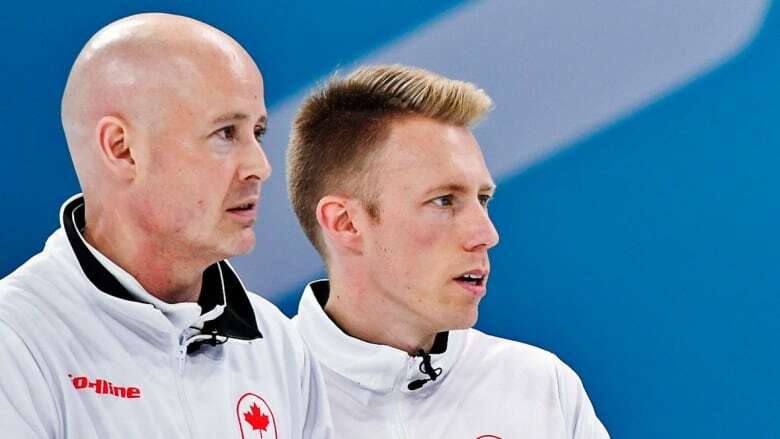 One of this country’s finest curlers ever to grace the ice, Kennedy abruptly left the game last spring just weeks after his fourth-place finish at the Olympics with skip Kevin Koe. The 36-year-old from St. Albert, Alta., was a curling perfectionist in every way imaginable. He would spend countless hours throwing rock after rock. He admits now it was probably to his detriment health-wise. His hip continues to give him trouble. Kennedy has hired a new team of trainers to help him rehab. It’s a long, slow grind. And something isn’t sitting well with him. Canada had never missed an Olympic podium in curling until this year, when it happened twice. Both the men’s and women’s teams failed to win a medal in Pyeongchang. Kennedy wants to make sure that doesn’t happen again. “I think we should be putting more into our own teams. So maybe I did take it personally,” he says. That’s the main reason for Kennedy taking up this position with Curling Canada this season. He says many of the coaches and staff of the sport’s national governing body know changes need to be made after the last Olympic performance. You’ll be hard-pressed to find someone more passionate about curling than Kennedy. He’s lived and breathed the game for years. And he’s won everything there is to win in the sport. He won Olympic gold with Kevin Martin’s rink in 2010. He’s captured two world championships and three Briers. Now he’s trying to share his curling knowledge with the next wave of Canadian curling champions. But Kennedy thinks that leadership role might have gone too far. Now it’s time to step up the Canadian game, he says. While Kennedy navigates this new coaching role, he’s still trying to find his identity outside of curling. He’s spending more time than ever with his two children and his wife. “I have a great thing at home. Being away from them was tough for a long time,” Kennedy says. And then there’s that whole fourth-place finish at the Olympics. Kennedy is still working through that. He says he’s never felt more prepared for an event in his life, so he doesn’t regret a thing despite the disappointing results. “Sometimes losing happens for a reason and I wouldn’t change any of it,” he says. “No comment,” he says with a smile.